Easter is often celebrated in two ways. The religious and the secular. Here are carvings that two different student/customers made to celebrate Easter. 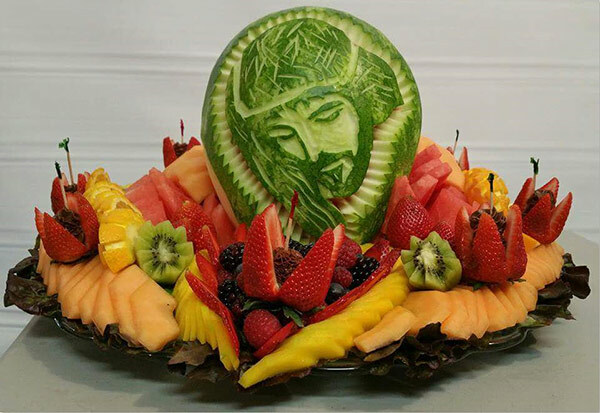 Feliciano Moreno made this melon carving depicting Jesus of Nazareth as part of his lovely fruit tray. It’s certainly a reminder of the reason for Easter. 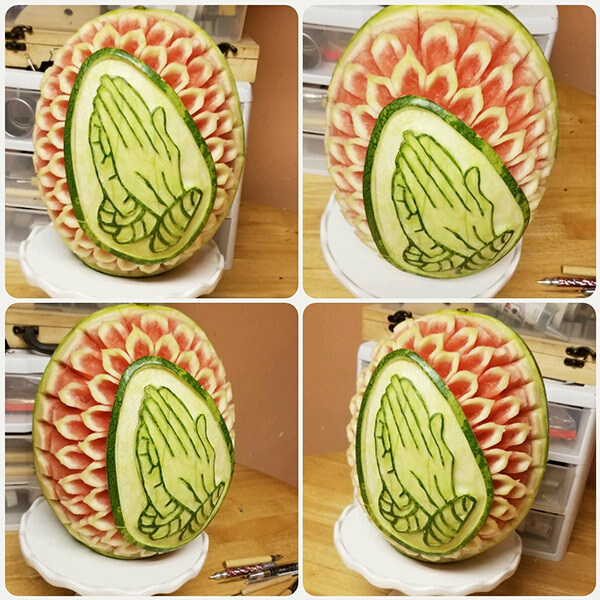 Kentrina Jones carved the following pretty watermelon with prayerful hands. 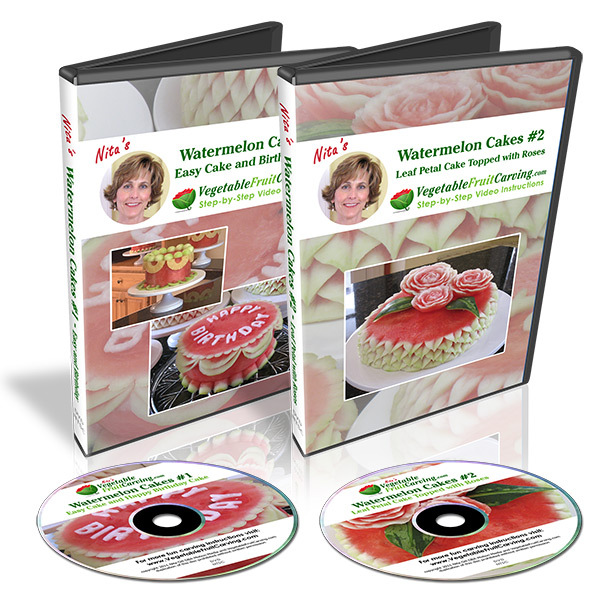 You can learn to carve graphics onto watermelons in our video lessons, Carving Letters and Words. 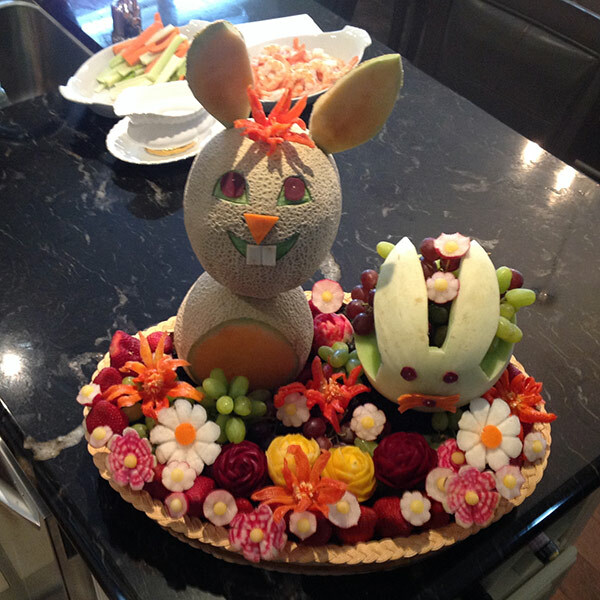 Since Easter is often associated with new life and Spring, Customer/student Julio DiFilippo created these 2 cute bunnies and a tray of brightly colored carved vegetable flowers to decorate his Easter celebration. 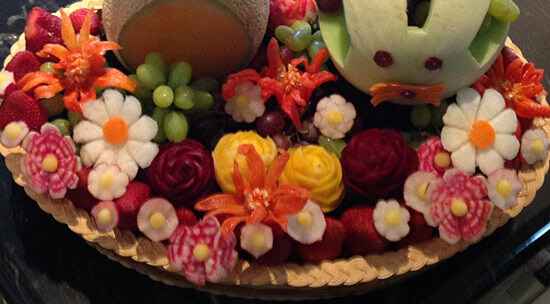 Her’s a closer look at Julio’s carved vegetable flowers. 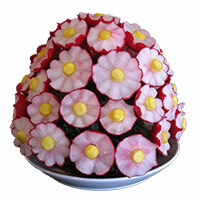 These flowers are taught in a variety of our lessons. 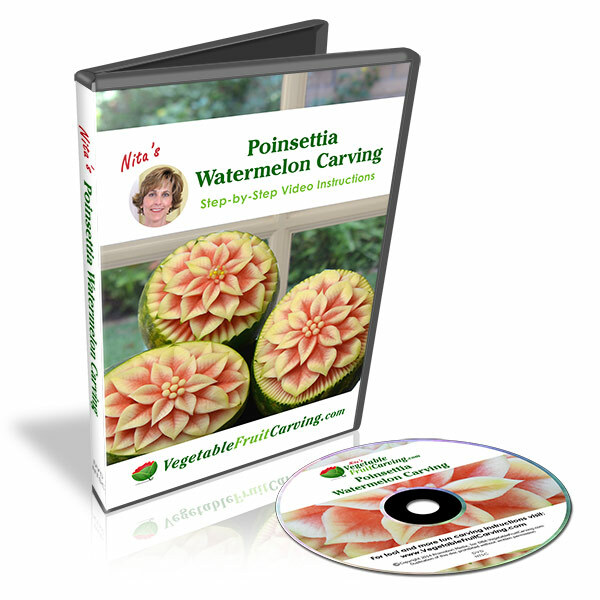 What will you be carving for your Easter gathering? If you are looking for ideas for more religious and secular Easter carvings, click here to see our archive of Easter carving blog posts. 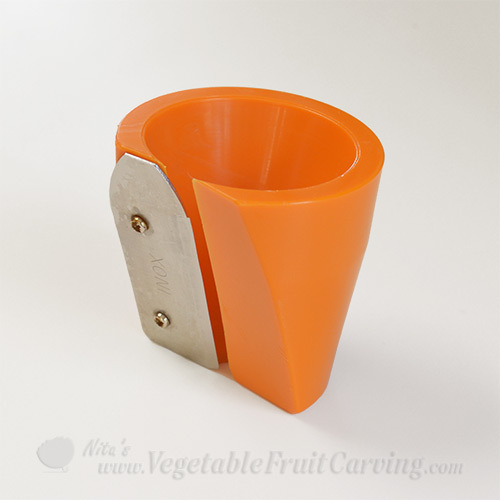 This is my carving , not Julio Difilipo . It sure is. Sorry about that mistake. It is corrected now. Thank you for bringing it to my attention. And thank you for sharing your lovely carving of Jesus.